Recruiting practices are becoming increasingly dominated by the idea of “cultural fit” and that this quality is a key determinant of how well a candidate will perform within the business. There is research to back this up in the form of a study by Leadership IQ, which revealed that 46 percent of new hires fail within 18 months and that 89 percent of these new hires fail not because of a lack of technical skills, but due to a lack of the right attitude or the right cultural fit. The most common attitude failings were: an inability to accept feedback, followed by a lack of interpersonal skills and cohesion, a lack of the appropriate motivation to succeed and simply lacking the wrong temperament for the job. Since cultural fit is so important to the success of an employee within an organization, it makes sense for employers to begin to put more emphasis on the process of assessing new hire cultural fit. Many employers based their cultural fit assessments on: a candidate’s hobbies and interests (a recent study has confirmed this), behavioral questioning and gut feeling. But considering the importance of cultural fit, employers might want to consider deploying psychometric assessments to help increase the overall predictive validity of their hiring process around cultural fit. Is your company culture healthy? However, hiring for cultural fit using psychometric tests requires more than having candidates complete a test sheet. Ground work is needed if this is to work correctly. For example, first you need to examine your company culture to see if it is a healthy culture that drives employee satisfaction, customer satisfaction, company strategy and profits; or, if it is toxic and is harming or limiting the business in some way (some kind of SWOT analysis might be helpful to this process). If it’s toxic, you will need to take steps to redefine a new culture first and then start to hire to fit your new desired culture, not to fit your existing toxic culture. In reality, the situation is not likely to be so polar, i.e. toxic or unhealthy, it will most likely be that you have clusters of high performing staff from across different business units and areas. And it is these high performers that you should ideally assess using the psychometric tests and these will give you an idea of the right attitudes and behaviors that lead to success in your business. You now have an attitude based success profile for your organization which is a set of attitudes and behaviors exhibited by your superstars that will help an employee to succeed. Job candidates can then be assessed for their tendency to exhibit these behaviors using psychometric assessments, which tells you how well the candidate fits your desired cultural fit. The theory is that the closer the match between the candidate’s attitude and your high performer’s attitude, the better the cultural fit and the better chance the candidate has of being a high performer in your firm. 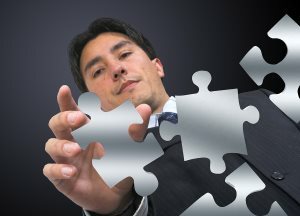 Hiring for cultural fit has become quite fashionable of late, but to be effective it is vital that the organization is not hiring purely to fit the current culture (which could be in part toxic), but hiring to fit your desired success culture that will lead to employee satisfaction, customer satisfaction and long term shareholder satisfaction.